You can submit quotes directly through our website and save 10% on your order! Our new an improved site gives you the ability to quickly inquire about pricing. 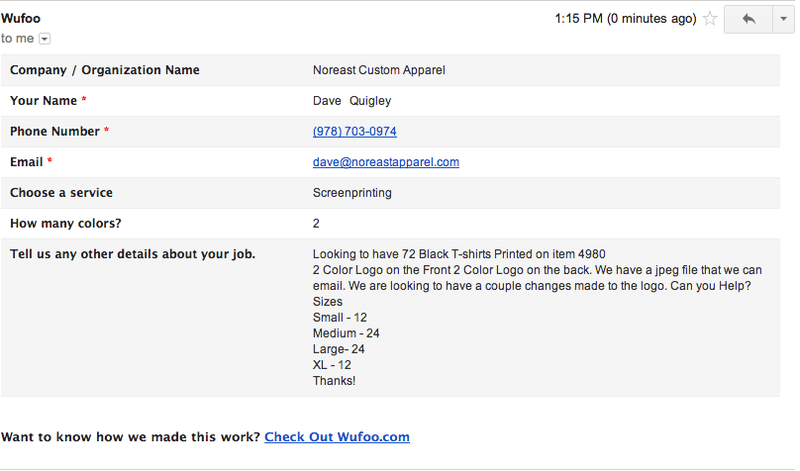 Please make sure to include any additional details including size, colors, artwork specs. and contact info and we will ge right back to us. 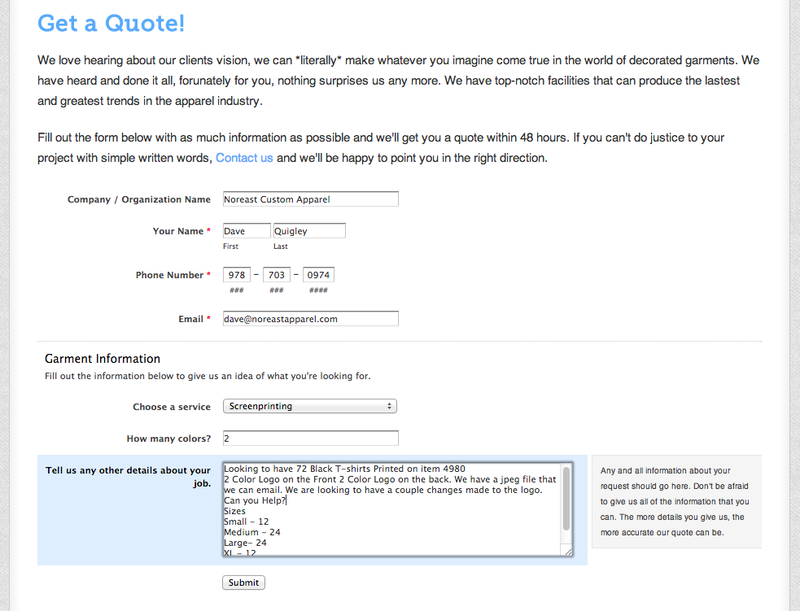 Using the online feature helps us quickly process your quotes and streamline the order process. Start by using our online catalog to get your items and then head over to the site and Click 'Get a Quote', Fill out the simple form and we'll take care of the rest!